Solo hiking and scrambling is absolutely nothing new for me. I’ve been taking on long, arduous, technical routes for years on my own. Fortunately, apart from very minor issues, nothing had ever occurred that caused me a serious problem. Well, a few weeks ago this changed. I’d been to the doctors some months ago about a back problem that I was having. Essentially, without warning or build-up, one morning I got out of bed and collapsed to the floor in agony. I literally couldn’t move. It was excruciatingly sharp and then seem to create a chain reactions of spasms that immobilised me for about thirty minutes. Following this rather dramatic one-off event, and on the advice of the doctor, who put it down to sciatica, I took it easy. I experienced a seemingly constant niggle but nothing to compare to that morning at home. Slowly, but surely, I started to build up my physical activity again. Tentatively at first but eventually back to full throttle. Full throttle may not be what it was in my 20s but it was nice to be back out doing things I love again. 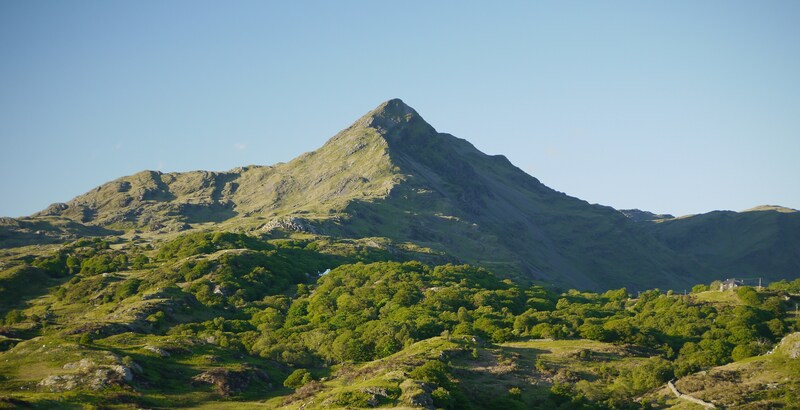 Anyone who knows Cnicht, in Snowdonia, knows what a great mountain it is. 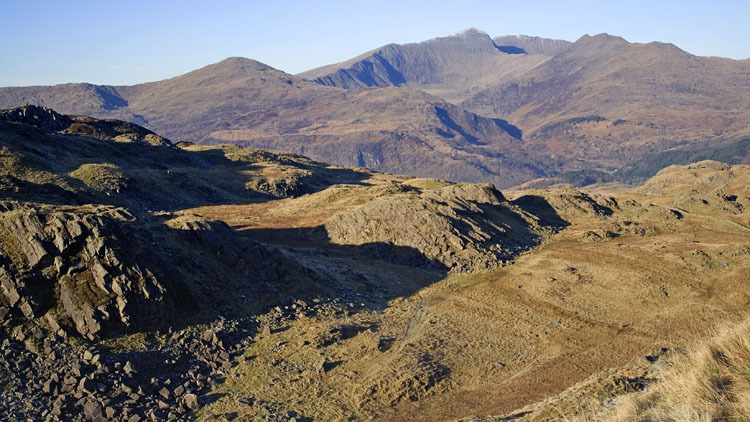 Far away from the busy tracks and trails of some of Snowdonia’s superstar summits, it offers a great sense of isolation. Furthermore, as anyone who knows the area will testify, it’s a proper navigational challenge, far exceeding the skills required to tackle its better known neighbours. Now, throw in some poor weather and exceedingly poor visibility and you really need to know what you’re doing. Everything started so well. 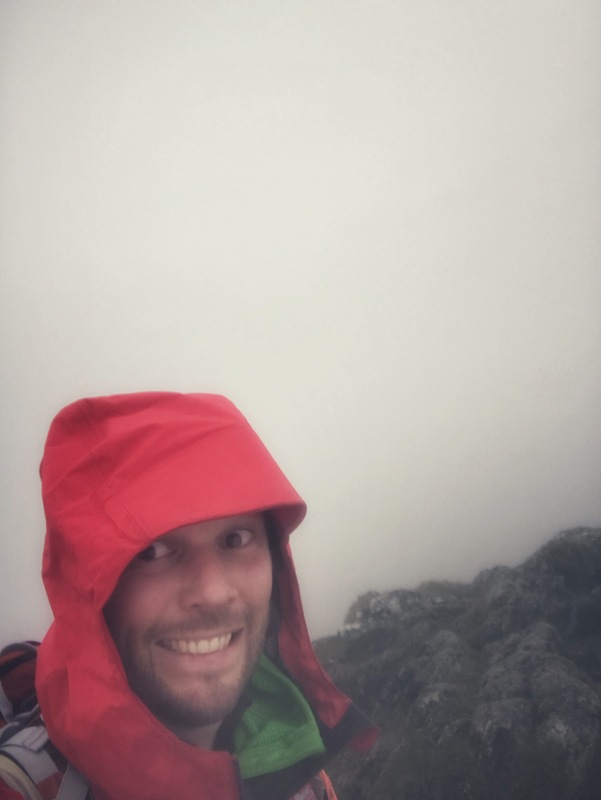 I had parked in Croesor and, donning my bad weather gear, made my way up to the summit of Cnicht. 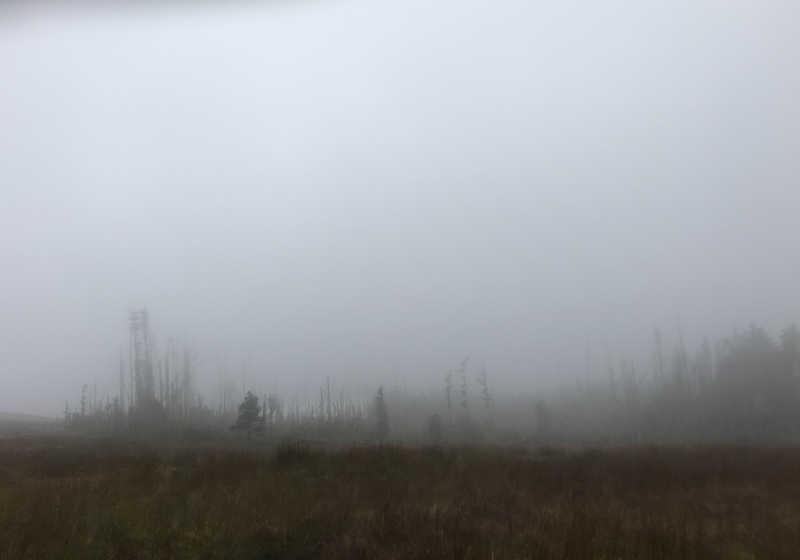 This section of the route is by far the easiest navigationally and, despite the poor visibility, I was up Cnicht in no time. I’d love to be able to tell you that I had great views and sat at the summit for a while enjoying my surroundings. As it was, I could barely see 20 metres in front of me and the summit was bloody cold. Consequently, after a very quick summit selfie I made my way down to the other side of the Welsh Matterhorn and on towards Moelwyn Mawr and Moelwyn Bach. This is where the fun began. As you descend Cnicht and head to the Moelwyns there are sections where the ‘path’ literally disappears in front of your eyes. The visibility was mightily bad now and I was having to work damn hard to maintain my desired route. This may not sound like much fun, but I enjoy this sort of stuff when I’m out on my own. It gives me a chance to use skills developed long ago that I rarely use when I’m out with the kids. How bad my visibility was on the day – one of the very few photos I took. Having ascended Moelwyn Mawr and traversed the Craigysgafn ridge that connects it to Moelwyn Bach, I was now ready to ascend my final summit of the day. 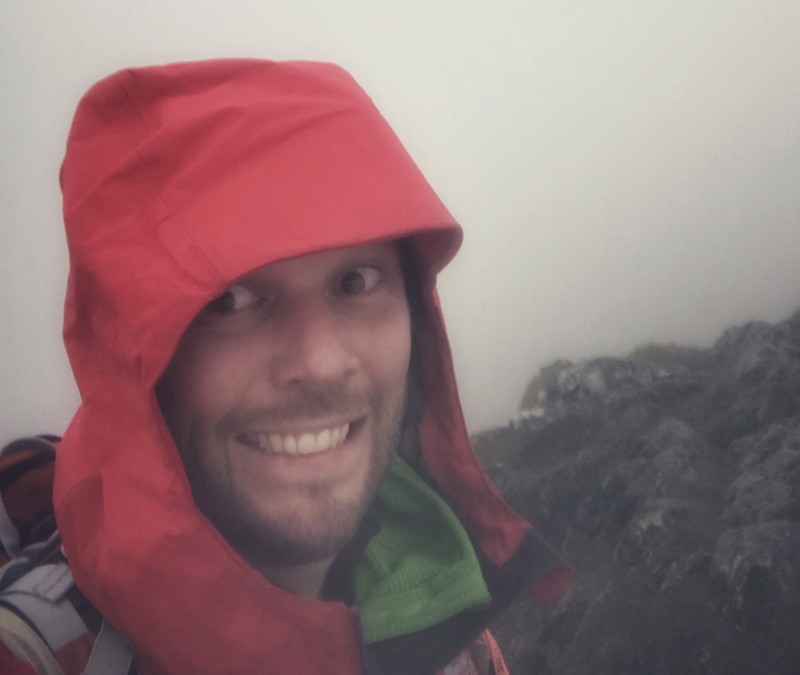 The wind had now picked up too, gusting strongly to physically batter me and add a further challenge to the fact I could barely see a thing. The final summit push is full of loose scree and is very steep with sections when hands- on scrambling, particularly in this weather, is needed. That’s when it happened. Just at the point when I thought this particular solo outing couldn’t get any more challenging, I felt an excruciating pain in my back, which literally dropped me to the floor. Not again! Unfortunately, this time I wasn’t in the comfort of my own home. I was high up on the side of a mountain, exposed to the atrocious elements and on loose ground with big drops not too far away. I don’t mind admitting that my first emotion was one of panic. Just like last time, following the sharp pain the entire left side of my back, left hip and left thigh went into spasm, rendering most of my body needed for moving useless. Knowing how exposed this route is and how isolated I was, I knew the chances of bumping into someone, particularly in this visibility, were very limited. In fact, I’d only seen one other hiker all day and that was close to the car park where I’d started my outing. Fortunately, the moment of panic was pretty brief. My experience soon kicked in and I’d managed to roll enough to free my rucksack. At the very least I knew my fully charged phone and bothy were in there in addition to enough food to keep me happy for a while. 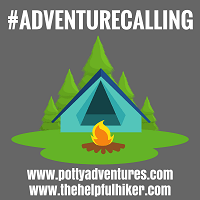 When you can’t move the lower section of your body, just getting a bothy out of rucksack and getting yourself in it is a slow and painful experience. My next step was to ring Nat. I’m sure she won’t mind me saying but she’s a bit of a worrier over stuff like this. I’d already left her details of my planned route and approximate timings so I knew that even if I couldn’t get hold of her she’d eventually ring me if I was late. Fortunately, I got through first time. I explained the situation, waited for her to panic a little bit and then gave her my exact coordinates. I told her at this point, that the last time my back did this I was able to use my feet again after about half an hour. However, I also said that should things not improve, I’d have to call Mountain Rescue. We also agreed that I’d ring her every 30 minutes to update her until I was safe. If she didn’t for whatever reason hear from me, she’d call Mountain Rescue and give them my details and coordinates. It was a long wait in that bothy. I’d managed to get at my snacks to keep my energy levels up and felt eternally grateful that I’d bothered to make and pack a flask of hot coffee. Little things really do perk you up in situations like this. Despite ringing Nat after 30 minutes and despite my back easing and loosening somewhat, I still didn’t feel able to move. I knew that the descent down was pretty steep and I also knew from the walls of my protective shelter that the wind was still pounding me. After just short of an hour, I rang Nat again and said I was making a move. The spasms had stopped and the sharp, acute pain had gone completely. Although I’d been left with a dull, bruise-like ache down my left side, I was pretty certain I could move slowly. Fortunately, being an earlybird and setting off at daft o’ clock in the morning, I was in no danger of being benighted. See, it pays to get your backside out of bed early in the morning. Still keeping in contact with Nat every 30 minutes, updating her with my exact coordinates each time should my back go again, it took me an age to descend and complete the final leg of my journey. I’ve never been so relieved to see my car after a day in the outdoors, I can tell you. Having one last coffee before I departed, getting some dry clothes on and trying my best to relax my back into my driver’s seat for the journey home was a slow process in itself. Looking back, it was pretty scary for a very short period of time. 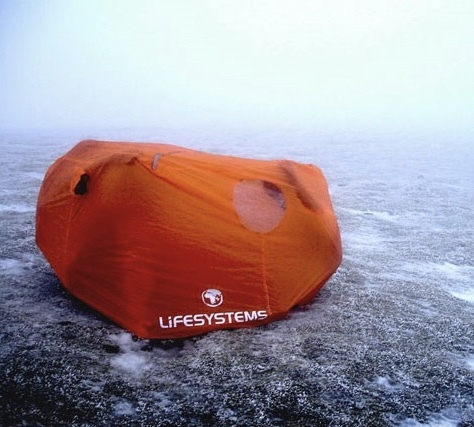 Then, importantly, my experience, planning and correct gear all played a massive part in helping me stay safe. Moreover, because of these, and the fact that I was fairly confident that eventually my back would ease, I was able to resist calling Mountain Rescue so that they could get on with more urgent callouts. Stephanie Lane recently posted…Do You Want to Learn How to Play Outside? Wow what an ordeal! Well done for getting yourself out of this, and for convincing Nat not to call Mountain Rescue right away!